Camp schedules are subject to change dependent on the weather, activities and camp theme. Adventure Camps are structured a little differently because there is meal prep involved with community cooking outdoors. 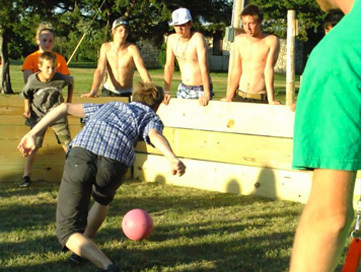 Counselors live in cabins with the campers so there is always supervision 24 hours a day. 8:00 – Breakfast—a full, delicious meal with proteins, carbs and fruit. 9:15 – Morning Activity Rotations & Skill building—Campers rotate between a couple activities in the morning to learn new skills or advance current skills.